Time to plan a fun brunch or indoor picnic in order to relieve some of this winter weather cabin fever! 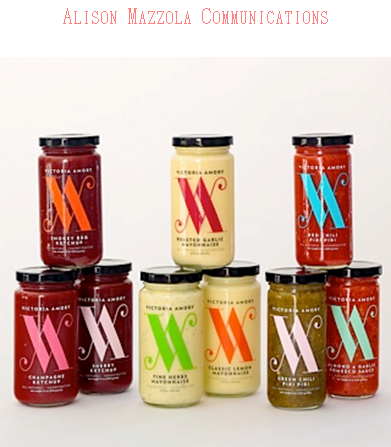 When you add Victoria Amory condiments to your buffet table (www.victoriaamory.com), any dish becomes a bit more elegant and special. Whether spreading VA Fine Herbs Mayonnaise on your ham and cheese sandwich, mixing up a delicious batch of crab salad using VA garlic mayonnaise, dipping chilled cooked shrimp in a peppery Red Chili Piri Piri sauce or topping a grilled hot dog with VA champagne ketchup, the ultimate result is improved taste, color and aroma for any dish. Let Victoria Amory mayonnaise, ketchup and condiments dress up any dinner party! Victory Amory Condiments, Mayonnaise and Ketchup – Gotta Love It!